Blue Door Veterinary Services is proud to be the first full-service veterinary hospital on wheels to serve the greater Portland community! 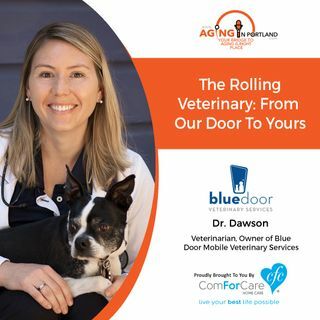 They have a custom-outfitted, 26-foot mobile clinic, driven by veterinarian and founder, Dr. Meridith Dawson. Exceptional animal care is her passion and she believes that part of that is being able to offer convenient care that benefits the pet and the pet owner!